Second degree in Mathematics at the Technion. PhD in Mathematics at the Technion. Participated in the Technion Excellence Program: October 2001 – July 2003. 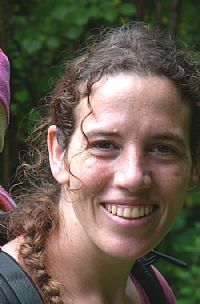 Tali included advanced courses in her curriculum much earlier than usual and started the research that latter became her masters thesis during her first degree. Her master thesis: "Characterization of Periodic Orbits by Topological Considerations for a Kicked Particle" under the supervision of Prof. Wajnryb Bronislaw from the Math faculty and Prof. Fishman Shmuel from the Physics faculty. (There should be published a paper about this research in the near future). Recommendations to Program participants: "Use the freedom the Program gives! don't do all the courses by the "correct" order, jump first for the more interesting things. Look for a real advisor".